“You will see a royal city, perched into an alpine hill, superb for men and walls, whose very aspect indicates it as Sea Lady: Genoa!…” Francesco Petrarca, 1358. Oh yes, Petrarch was right, with this sentence, I think he had already caught 700 years ago, the essence of Genoa city! Genoa historical center inspires us every day! Today I’d like to talk about Genoa and give some tips to those of you who are coming to visit the town where BeautifuLiguria is located, the historical city whose charm inspires our team every day. I like to define Genoa as a city of contrasts, a place which need time to be appreciated, but then grows on you and rewards you with one magnificent discovery after another. This “vertical” city fascinates me for its unique art, its authentic corners still untouched by the mass tourism, the pastel colored houses that contrast the black and white slates of the facades of historical palaces. Genoa, which has always been a linking point between East and West, a crossroads of different cultures, can’t be missed if you are a planning a holiday to Italy and Liguria! 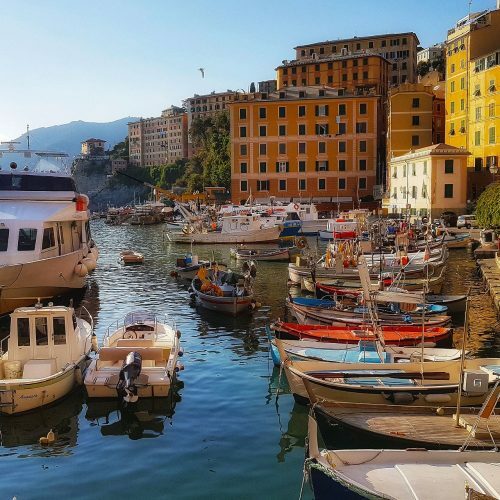 When it’s possible, we always suggest to include a trip to Genoa. It is close to Portofino and at about 1 hour from the famous Cinque Terre. Let’s try (it’s very hard! 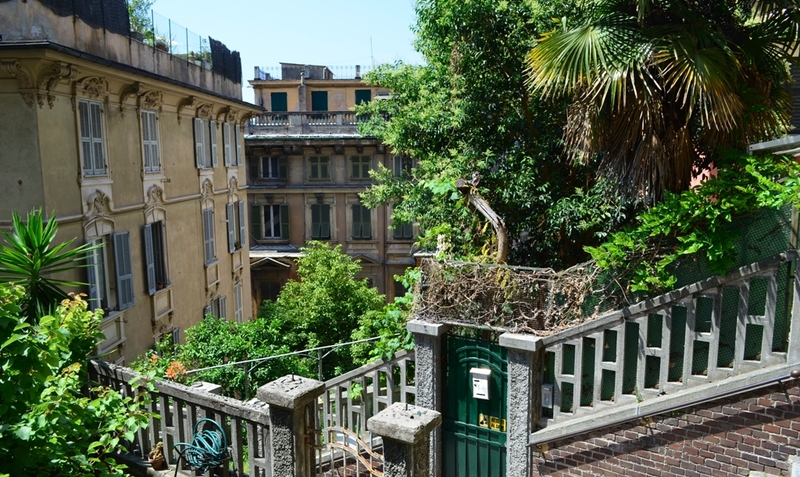 We believe you need at least 2 days) to give some tips if you have 24 hours to visit Genoa! First of all, what I suggest if you have the chance, sleep at least 1 night in Genoa. Your visit to the town can’t start better. You wake up in the heart of this city starting to feel its authentic atmosphere! 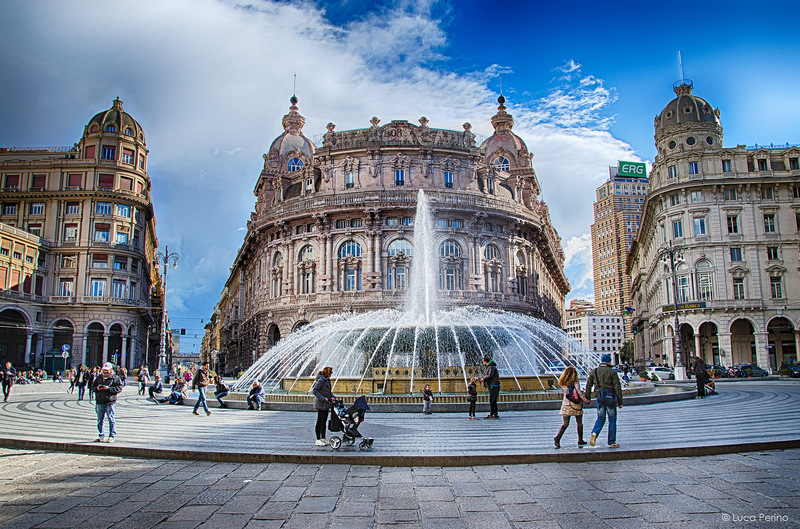 Once in Genoa you can’t miss a walk tour in one of the finest Renaissance streets in the world. The magnificent palaces, which are listed in the Unesco World Heritage sites will leave you speechless! 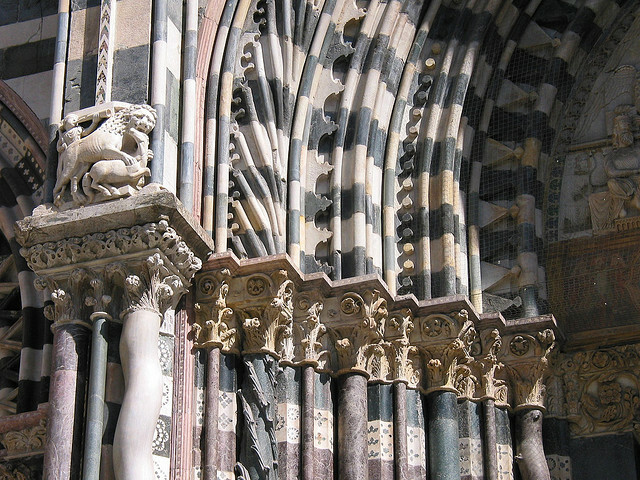 Not far from Via Garibladi, reach Via San Lorenzo to visit Genoa’s cathedral, which is a masterpiece of gothic art built on a pre-existing Romanesque structure with black and white stripes! While here step in the small museum where is located the “sacro catino”, said to be the Holy Grail! For us, visiting Genoa’s medieval centre means also discovering its traditional food shops and boutiques “botteghe storiche” with their unique flavors. It’s like taking a walk back in the time! For example, just to mention a few, there’s a pastry cafè where I love to stop which was Giuseppe Verdi favorite place. He loved to spend his time in this special cafè tasting the pastries. Then, there’s the famous Romanengo 200 years old shop, that I define a pearl in the heart of the historical center and that can’t be missed to be visited! A special and romantic area where you can take your time and admire the whole city and its harbor! Take the “paradise lift”, a 100 years old lift built in Art Nouveau style and reach its highest point. The view of the historical center till the sea will enchant you, I’m sure. A favorite corner for Genoese people on Sunday mornings. 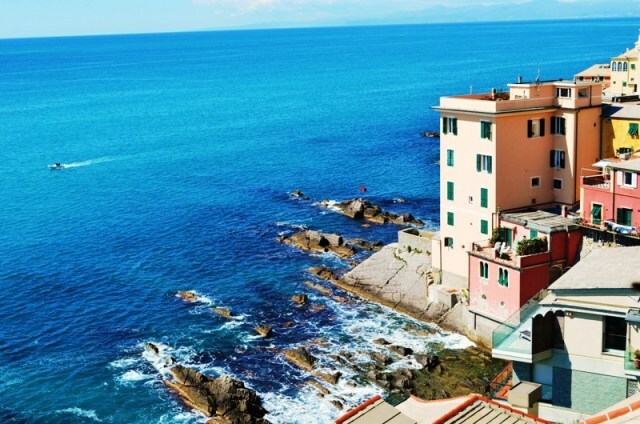 This fishing village located in Genoa city is very similar to the Cinque Terre ones. When you arrive there, it gives you the impression to be living in a postcard where time seems has stopped. 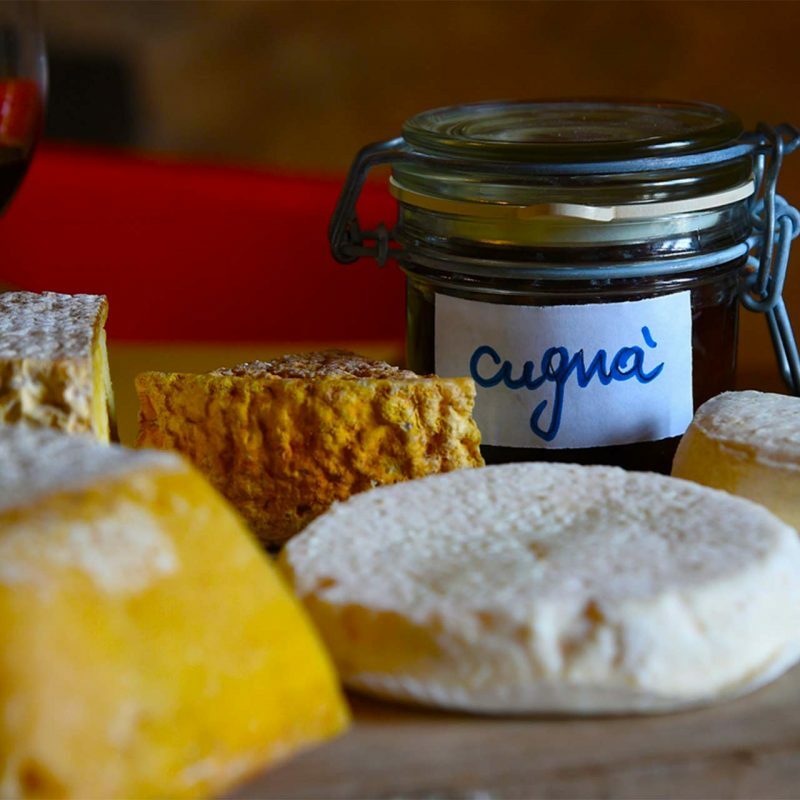 Tasting a gelato or having dinner in this place is among locals favorite things to do! 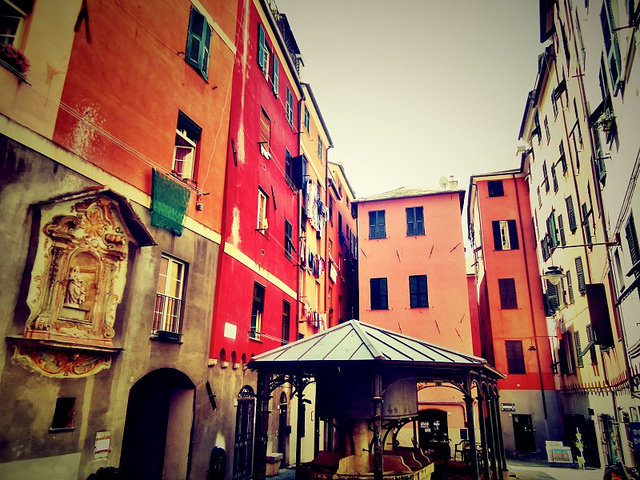 Planning a trip to Genoa Italy? Have a look at our “Experiences” section and get inspired!